The City agreed to build mixed-income housing project prior to 2005 West Chelsea rezoning. 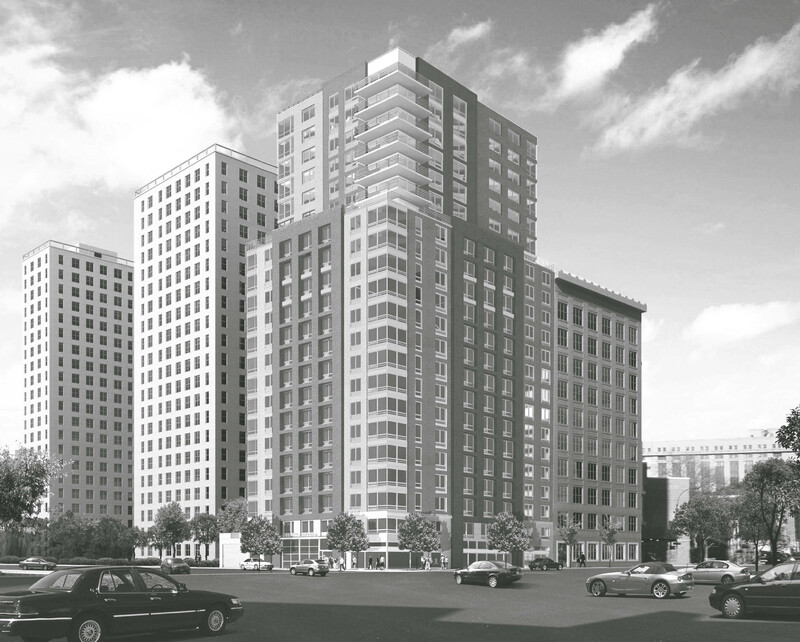 On June 29, 2010, the City Council approved, at the request of the New York City Housing Authority, a text amendment that would facilitate the development of a 22-story mixed-income affordable housing project on the site of the Housing Authority-controlled Elliott-Chelsea Houses at the northwest corner of West 25th Street and Ninth Avenue in Chelsea. The site is occupied by a 42-space accessory parking lot and a trash compactor unit, which are both used by residents of Elliott-Chelsea’s two 21- story buildings. The area was rezoned in 2005. Prior to the 2005 rezoning, the Mayor’s office and the Council reached an agreement to develop affordable housing at the Elliott-Chelsea site and on a parking lot at the Fulton Houses on West 18th Street between Ninth and Tenth Avenues. In 2007 the Housing Authority selected 25th Street Chelsea Equities LLC, a subsidiary of Artimus Construction, to develop both sites. Artimus will purchase the Elliott-Chelsea site for $4 million. The 140,802 sq.ft. tower will include 168 permanently affordable residential units that will be available to households earning between 60 and 195 percent of area median income. A 26-space underground garage will replace surface spaces lost to the project. The Housing Authority will relocate the trash compactor to an enclosed area on the west side of the Elliott-Chelsea Houses in order to mitigate adverse effects on neighboring residents. In order to meet the City’s design guidelines, the Housing Authority and Artimus proposed a zoning amendment to create an authorization allowing modifications to height and setback regulations and parking requirements to facilitate publicly assisted housing on sites larger than 1.5 acres within Manhattan Community District 4. The height and setback waivers will permit the project to match the 140- foot base height of the Heywood Building located north of the site. Manhattan Community Board 4 supported the proposal, but requested that the Housing Authority narrow the amendment’s applicability. CB 4 said that sites within the Special Clinton District should be excluded from the amendment and that it should only apply to housing projects with “public funding,” which is defined by the zoning resolution, rather than “publicly assisted,” which is not. Manhattan Borough President Scott M. Stringer supported the project, but expressed concern about establishing an authorization through the amendment. Stringer pointed out that a developer seeking the proposed bulk modifications would typically apply for a special permit, which would trigger a more extensive public review than that required for an authorization. Stringer acknowledged the amendment was only intended to apply to a limited number of sites, but believed that it could be used as precedent for future projects in the area. The City Planning Commission agreed with CB 4’s concerns and modified the text amendment. The Commission excluded sites within the Special Clinton District from the amendment and altered the text so that it would only apply to projects with public funding commitments. At the Council’s Zoning & Franchises Subcommittee hearing, a Housing Authority representative stated that Housing Authority residents within the community district would be given rent preference for twenty percent of the project’s apartments. CB 4’s Joe Restuccia testified that after more than five years of work, the project would address the critical need for permanently affordable housing for moderate and middle- income families in the West Chelsea area. The full Council unanimously approved the proposal. Council: Elliott-Chelsea Housing (N 1000262 ZRM – text amend.) (N 100263 ZAM – auth.) (June 29, 2010) (Architect: GF 55 Partners).